Tiny Tracks℠ ride, located in the Midway America℠ region, is chugging along the tracks with a train full of our small guests! 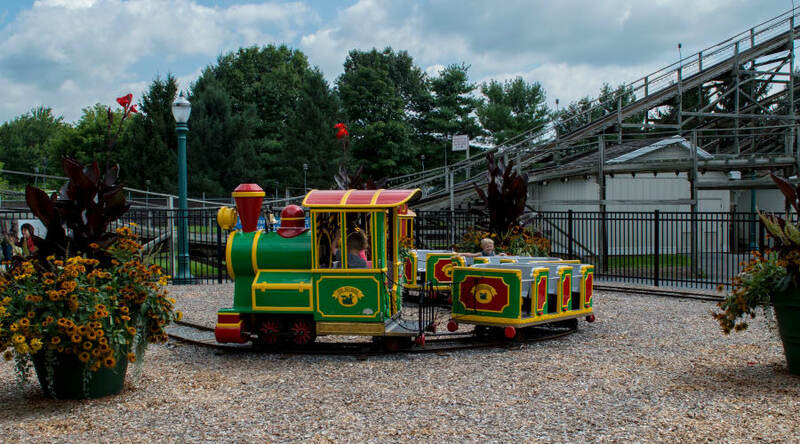 Riders can choose between relaxing in the caboose or ringing the bell in the engine! Choo choo, all aboard! One taller companion may accompany each child: that includes mom or dad. Due to the configuration of this ride, guests taller than the HERSHEY'S milk chocolate bar height category may not sit in the Engine or Caboose.